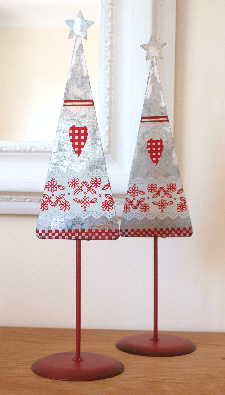 Retro metal Christmas trees Shabby Chic hearts flowers & star decoration. Pair of same sized Christmas tree decorations. For more info’ please follow this eBay link. Thank you.